Make sure you’re visible at night. Whether you’re running, walking, riding, skating, you will be seen when wearing the Amphipod Xinglet Flash LED. 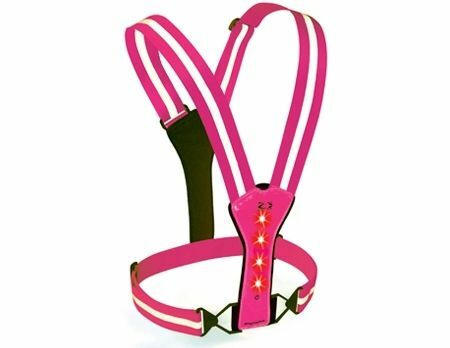 A lightweight, minimalist design, there’s reflective material on the straps in the front and back, as well as from top to bottom AND flashing LED, ultra-bright flashing strobe lights in the front and back. No way that car won’t see you now! The lights run on an easily replaceable coin battery and can be turned off and on with the simple push of a button. Adjustable for both height and waist size. Get noticed at night and be safe!